There are very few beauty brands that make me hella nostalgic. My sister, mom, and myself all used Pantene Pro-V when I was growing up. And how can we forget the tagline “hair so healthy it shines”!? I can remember the commercials perfectly. It was like when one of us was having a good hair day, we’d say we had ‘Pantene hair.’ Shiny hair was serious #hairgoals back then. Needless to say, I was excited to try the brand’s newly formulated Damage Detox Shampoo and Conditioner. You still get that same silky smooth feeling upon the first wash, but this time, it has nourishing lipids and antioxidants that really penetrate your hair helping to prevent damage. Now this, I can get on board with. Whether you blow dry or air dry (like me! ), your locks will be instantly touchable and silky smooth. After washing, my hair was shiny and super super bouncy. Andddd I didn’t have to add any texturizing or hair spray afterwards. Pantene comeback for the WIN! 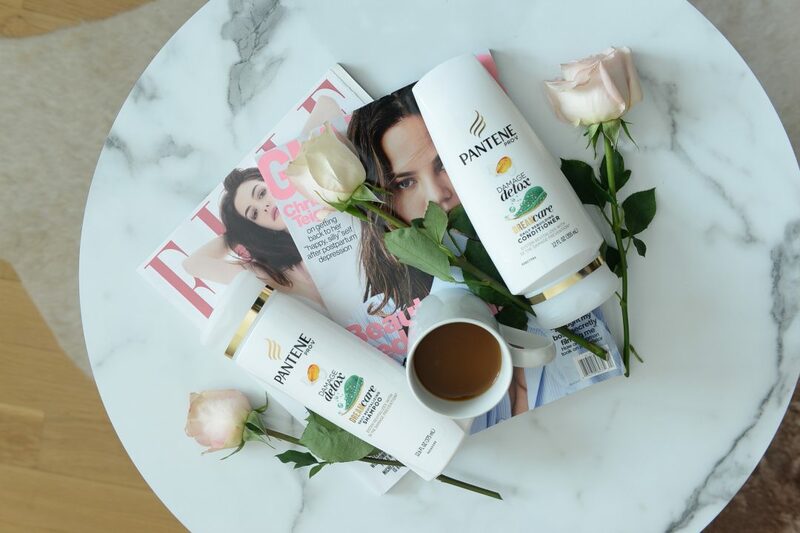 Thank you Pantene for partnering on this post! 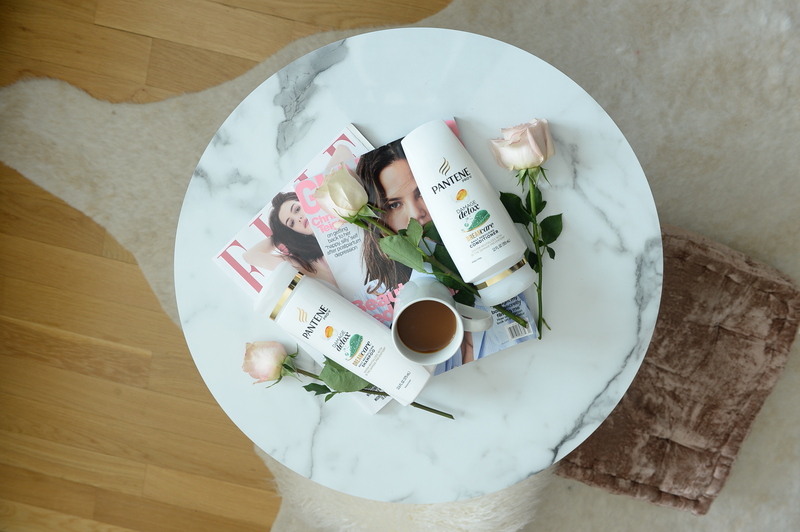 I feel like I’m always on the hunt for new haircare products, but it’s great to know that a classic still rings true and can deliver with innovative features. Will have to try!